Ethiopian Kit’ta: Matzah that’s made to order. 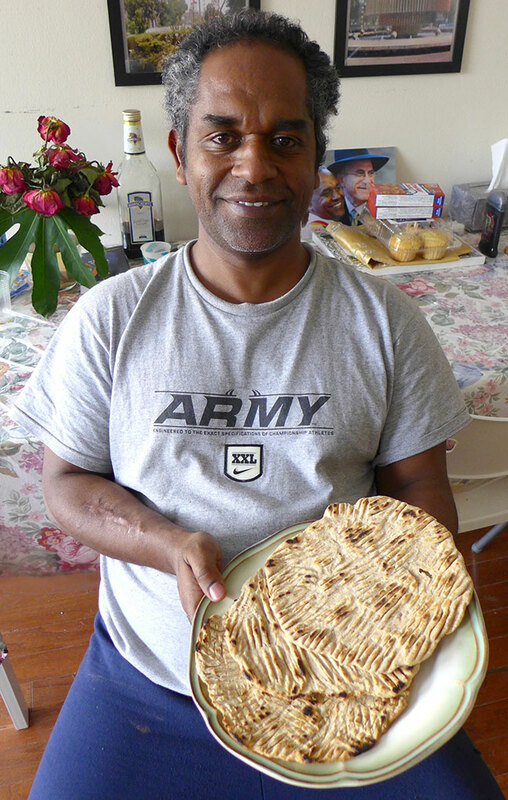 One cold January morning, I ran down to meet with Shmuel Legesse and learn how to make Ethiopian style matzah. In Ethiopia, matzah is made just like it it had been done for the first Passover when the Jews were fleeing Egypt through the desert: By hand. And FAST. In each home, the women form an assembly line to produce each matzah one at a time, diligently following the 18-minute time limit from start to finish. After the flour, salt, and water have been mixed, the dough is quickly formed, rolled out into a pita-like size, and placed onto a flat clay pan called a Mitadt. The bread then bakes in this pan until it is crispy and browned on both sides, and brought to the table to be eaten immediately. The resulting bread is more like a thick cracker that is slightly pliable, with a taste that is nutty and earthy. and Kicha/Kitcha in the dialect of Tigrinya). 1. Combine the dry ingredients in a medium size bowl. 2. Begin heating an 8- or 9-inch skillet (preferably non-stick or cast iron) over a medium-low heat. gather dough into a small ball. then quickly press ball down with your palm into a disk about 4 inches wide. 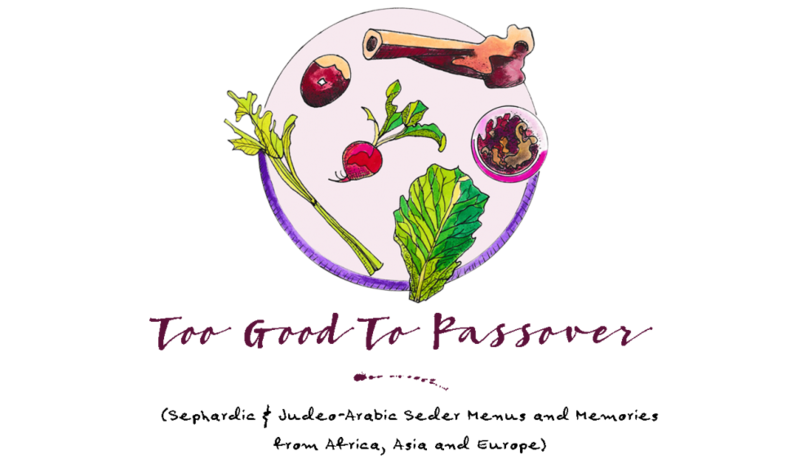 so, is this really kosher l’pesach? It really depends upon your level of observance and what you are comfortable with since this recipe uses regular flour. Many Jewish communities once made their own matzah since commercially made matzah was not available. If if was available in their community, they used special flour that had been ground in a mill that had been properly cleaned and kashered for Passover. When they made the matzah, either at home or with other members of the community, they followed the strict 18-minute time limit of preparation. Sometimes a rabbi was there to oversee the production, but most of the time there were just experienced members of the community preparing the dough and guiding others in an assembly line.